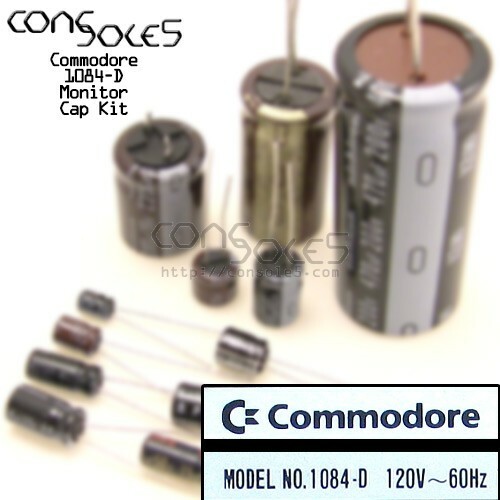 This kit contains all parts necessary to replace the capacitors in the Commodore Amiga 1084D or the stereo 1084S-D monitor, North America / 110V version. Note we might sub a 330uF or 470uF in place of the 220uF C109 main filter cap. Our Amiga kits use only high temp, name brand caps (Panasonic, Nichicon, etc) from official distributors!